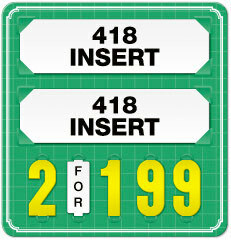 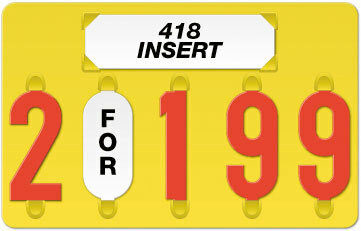 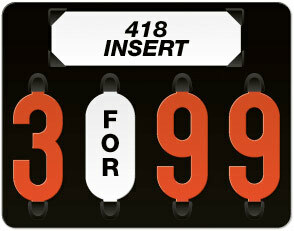 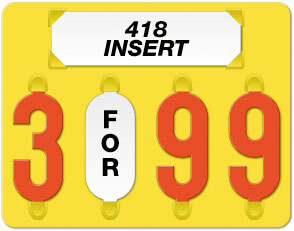 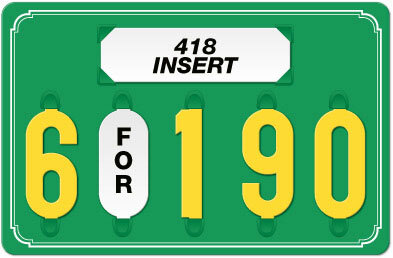 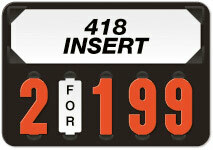 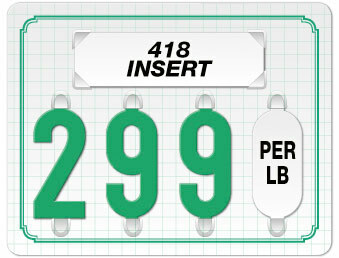 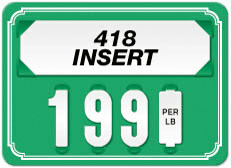 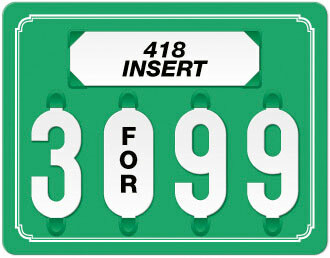 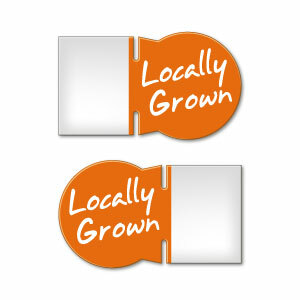 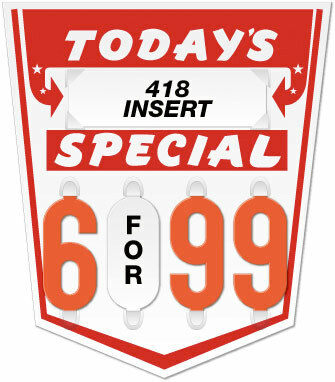 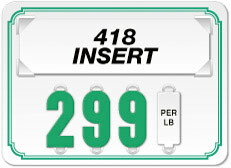 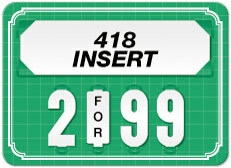 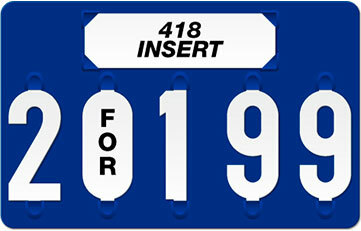 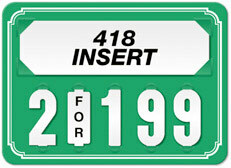 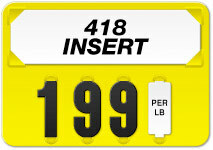 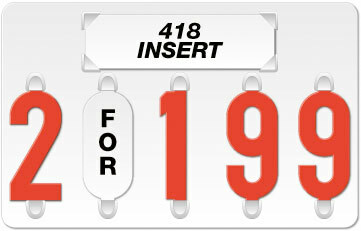 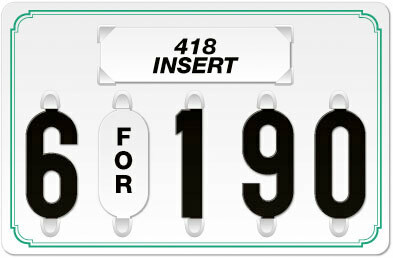 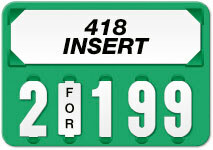 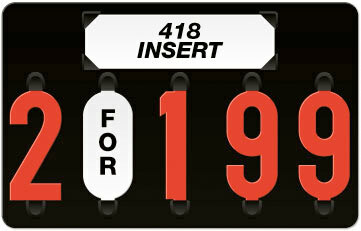 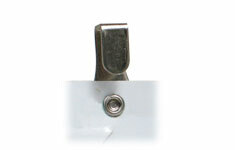 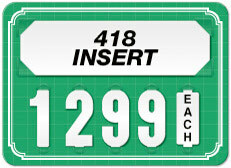 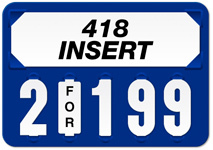 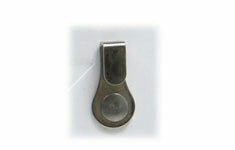 All "39" series tags will accept our 1½" numbers and #418VN or #S418 series product name inserts. 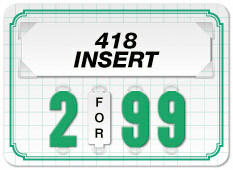 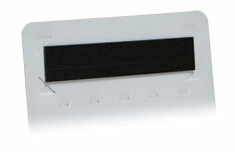 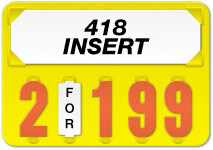 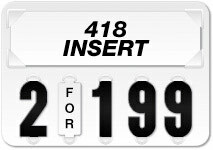 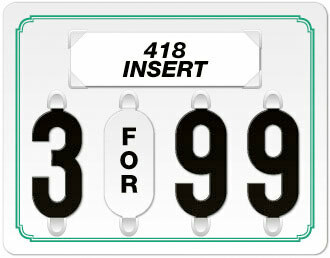 All "44" series tags will accept our 3" numbers and #418 or #S418 series product name inserts. 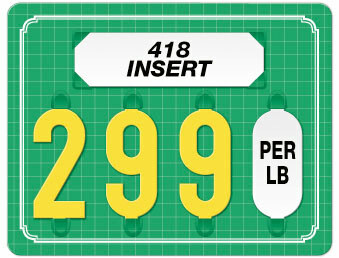 Department specific items to be used in conjunction with a price tag program. For use with marking pen or P-Touch® labeling system. 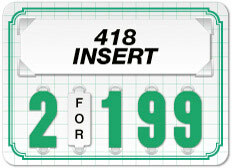 Features: Fits behind a #650 or #418 insert. 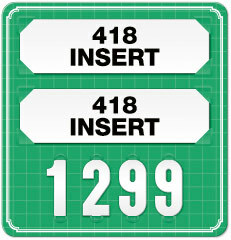 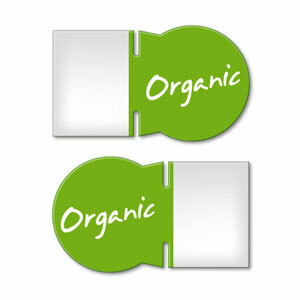 Printed on both sides, allowing it to be inserted from either the left or right side. 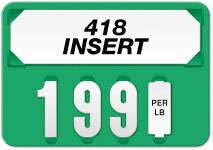 Features: Item is delivered riveted to a price tag or card. 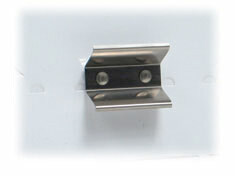 All sales are final on items that have attachments installed. 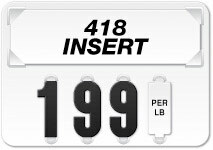 Please specify exact placement when ordering. 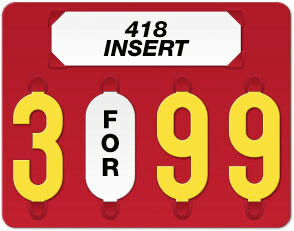 Features: Item is delivered attached to a price tag or card.